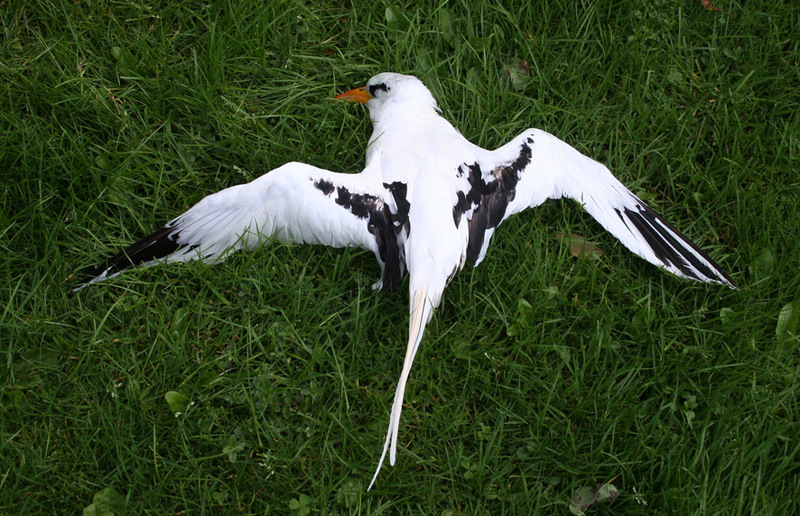 This White-tailed Tropicbird was discovered dead near Long Pond, St. John’s in the aftermath of Hurricane Florence (September 2006) – the only record for Newfoundland (and a painful memory for a certain birder who was working in an office just a few hundred metres away!). Origins: Breeds in the tropical Atlantic as far north as Bermuda and some Caribbean islands, as well as the western Pacific and Indian Oceans. Most north Atlantic records are associated with tropical storms and hurricanes. Record Details: One record for Newfoundland – found dead in St. John’s following Hurricane Florence on September 14, 2006.